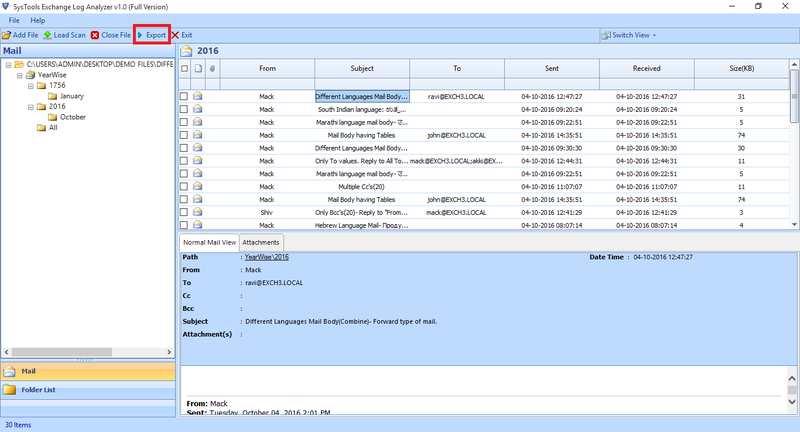 With Exchange Log Reader the user can easily view and load transaction .edb file of Exchange Server. The software will analyze Exchange log files and after that, provide a view of all necessary data including email messages from the Exchange Server. 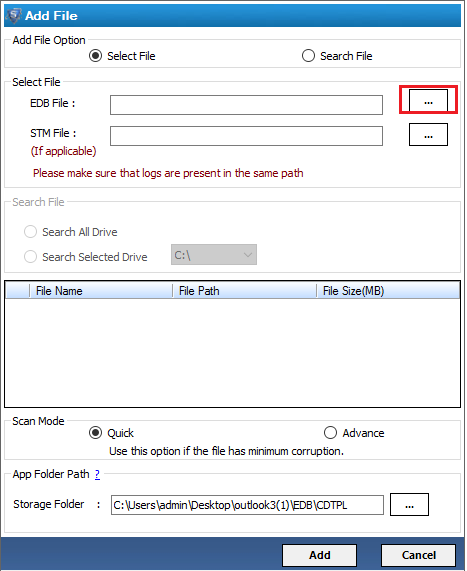 Moreover, it is required to have .edb file to perform the log analysis. Also, the tool will help to analyze all causes of corruption. The user can repair & restore the permanently deleted emails from the Exchange mailbox database without any difficulty. In fact, it enables the user to quickly scan and analyze transaction Log files on Exchange server. Then, load each email message from it which contain permanently deleted emails without compromising the data integrity. 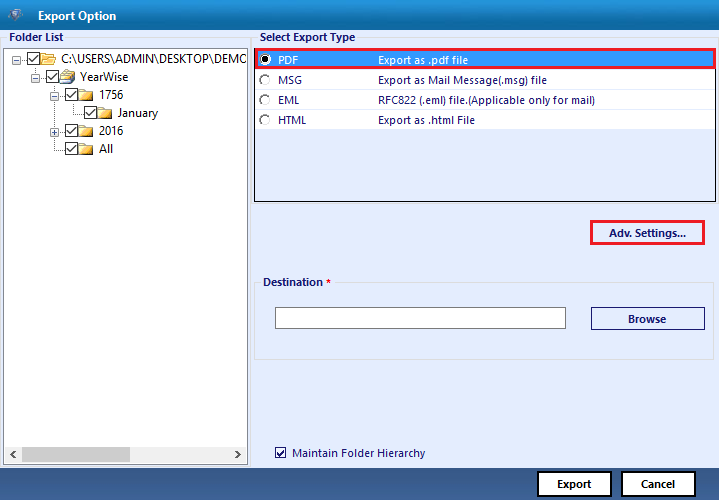 During exporting .edb messages, the Exchange log analyzer allows to maintain the folder hierarchy and original formatting of all the data items. However, the user can freely use this software to open transaction log files without any risk of data loss, also it retains the integrity of data. Moreover, it will keep each attribute associated with the email i.e. To, From, Subject, Bcc, etc., intact while analyzing. Once all the emails are analyzed from Exchange Log viewer, the software offers the user an option to save & view the Exchange logs in EML or MSG formats. According to these two options, the tool permits to use any supporting naming patterns such as subject+ DD-MM-YY, with MD5, autoincrement, etc. With this feature, the user is capable to identify the desired email more easily. The user can use Exchange log reader tool to analyze & load dismounted as well as offline EDB data files. 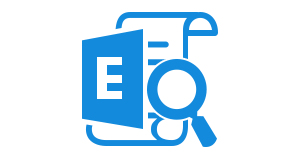 In addition, the user can recover data from dismounted or orphan EDB files with scanning the Exchange server log files. But, it is mandatory to have .edb files for analyzing the .edb log files successfully. However, the tool renders the view of Exchange EDB file attachments with Exchange Log analyzer. With EDB log analyzer software, the user can easily scan and open corrupt transaction log files. Also, this program that allows the user to export the scanned file in multiple formats i.e. PDF, MSG, EML & HTML file. Although, the user can save viewed corrupt exchange server log file to EML & MSG file formats and access them to any email program. Does the live Exchange environment is needed to open transaction log files? No, there is no need to have a live Exchange environment to open and view all emails with this software. With this Exchange Log Viewer, Can I repair deleted emails from the Exchange Mailbox? Yes, Of Course, this tool will allow to restore all deleted emails from Exchange EDB file using transaction log files. Can I retrieve all the emails from the EDB .log file using this software? Yes, this tool will help to recover corrupt Exchange log files easily within just a few clicks. Also it enable you to export exchange log file to pdf, msg, eml and html format. Is this tool maintains the data integrity while loading Exchange Server Log files? Yes, this tool will retain the integrity of data, maintains the folder hierarchy and original formatting of data easily. Software is also compatible with exchange 2007, 2010, 2013 & 2016 log file. Can I run this Exchange log analyzer tool on Mac machine? No, it is totally Windows based application, you can not run it on Mac OS. First, you have to install the Exchange Log Analyzer and run the software on your local system and hit on Add File. Then, select either Select or Search File radio button and then click on ... to brows log file and at the end click on Add button. View Scanning Process in new pop up window. Finally, Export button to save scanned and exported Exchange log file. Now Select a file extension from list PDF, EML, MSG or HTML to export and save exchange log file and hit on Export button. 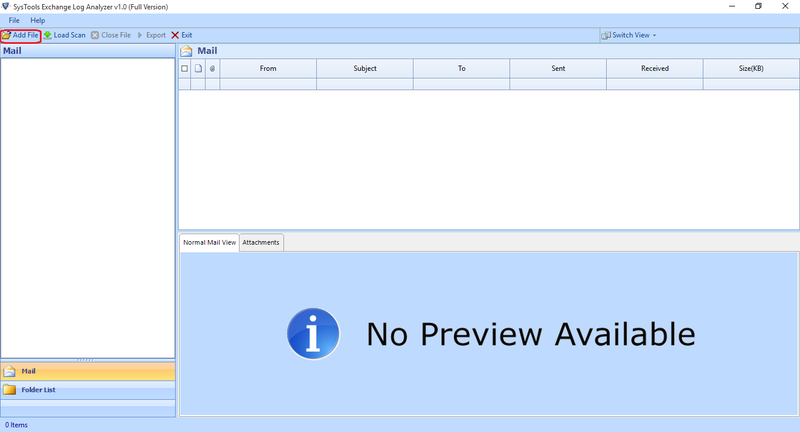 View the Successfully Exported message in new pop up window. "The complete working of Exchange Log Reader is very simple so that a novice user can use it without any issue. Even this software makes the task really easy and efficient for me. I am so glad that I found this wonderful product to view all my emails from Exchange log files. Thanks a lot to make it more recommendable." "The Exchange Log Analyzer has included many attractive features that actually helped me to open all transaction log files easily. One of the best feature I liked most is that it can scan and load all my emails even if they are deleted permanently or corrupted. Moreover, it can open and view entire details of Exchange log files too. Great software and amazing features!!"